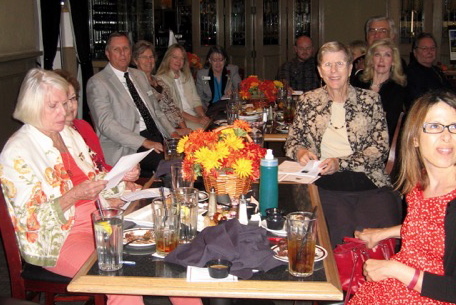 We held our 2015 fall meeting on Saturday, November 21 in Anaheim. 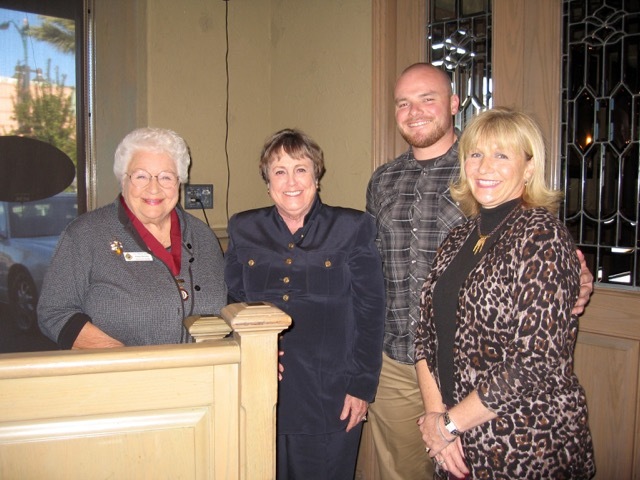 Governor Donna Derrick presided as 28 members and guests attended and heard Dr. Mark Hanna, Associate Professor of History at University of California, San Diego discuss early colonial maritime history. He has authored a new book, Pirates Nests and the Rise of the British Empire, 1570-1740. Membership Chair Linda Ramos welcomed new members Marty Sommercamp, Michele Chatelle and Jeffrey Tebeau. We enrolled eight new members in 2015, four of whom attended the meeting. A moment of remembrance was held for organizing member Ann Beinert who passed away July 19, 2015 at the age of 96 years young. Historian Scarlett Stahl reported she had received records of the Company’s first year from the first Governor Dee Rickards. Governor Derrick read a report from Councilor Jim McCall on the status of the efforts to protect the James River viewshed from the proposed transmission line project by Dominion Virginia Power. The Company voted to have a complimentary table at Southern California Genealogical Society Jamboree on Saturday June 5, 2016 in Burbank. We will again have our FCC brochures included in all registration packets. 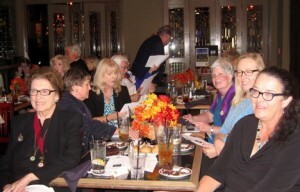 Our next meeting will be on February 27, 2016 at the Brookside Golf Club in Pasadena, near the Rose Bowl. Please watch our website’s News and Meetings pages for details. This entry was posted in 2015 Fall Meeting, Donna Derrick, Early American History, Fall 2015 Meeting, First California Company, geneaology. Bookmark the permalink.